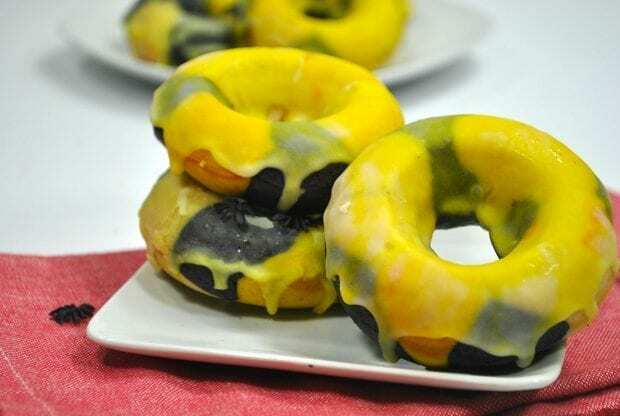 These black and yellow donuts are great for bumblebee or wasp themed treats! 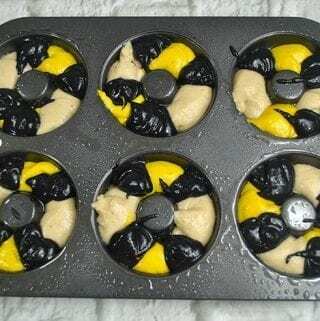 They are perfect for Ant-Man and The Wasp or Winnie the Pooh parties! 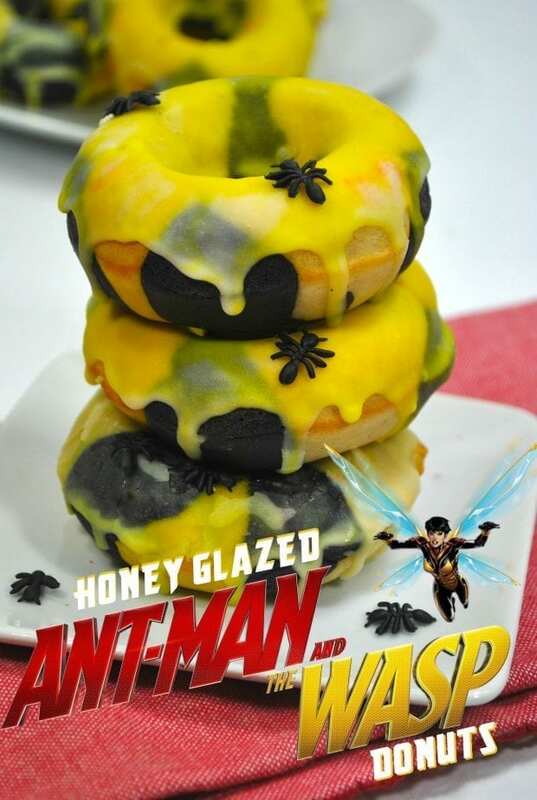 I'm super excited about Ant-Man and The Wasp coming out and I wanted to share a fun recipe with you guys. 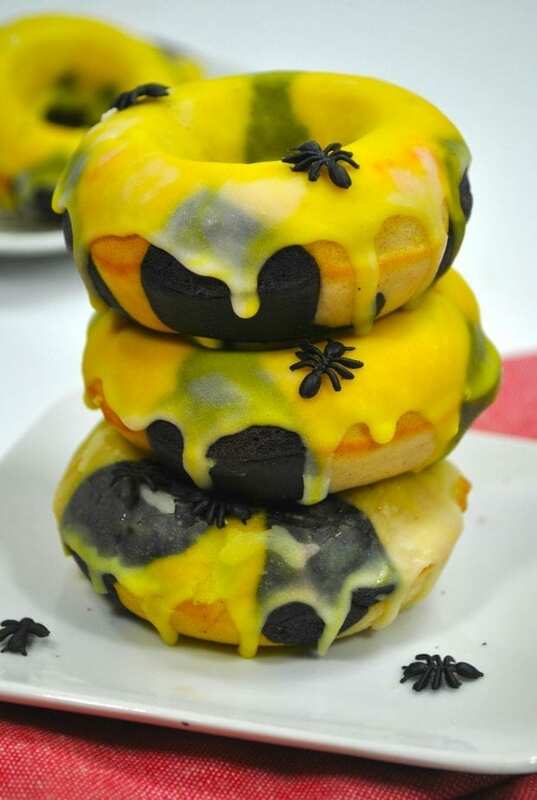 Much like The Incredibles Donuts, these donuts are super easy to make and just a fun treat that you can make together. Divide your batter into three bowls and leave one uncolored and the other two colored yellow and black. 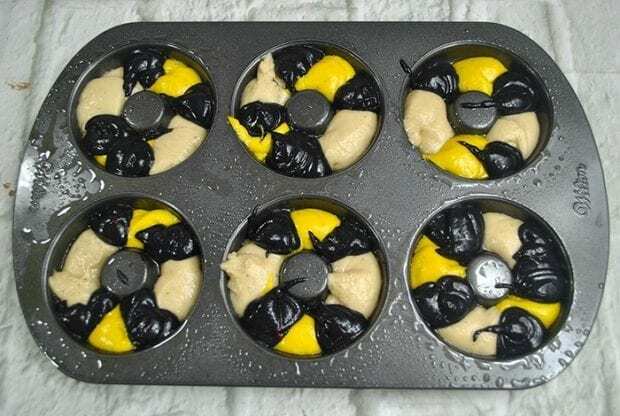 Add a spoonful at a time to the donut pan to create the wasp pattern. Don't fully blend your icing together. You want it to create a marbled pattern. Then you can add some ant sprinkles to give it an added Ant-Man and The Wasp theme! Add several drops of Yellow food coloring in the first bowl. Add several drops of Black food coloring in the first bowl. Spoon equal amounts of the 3 batters into the doughnut pan. Allow donuts to cool a few minutes in the pan. Split the icing into 2 bowls. Add the yellow food coloring to one of the bowls. Gradually pour the yellow icing into the white icing.